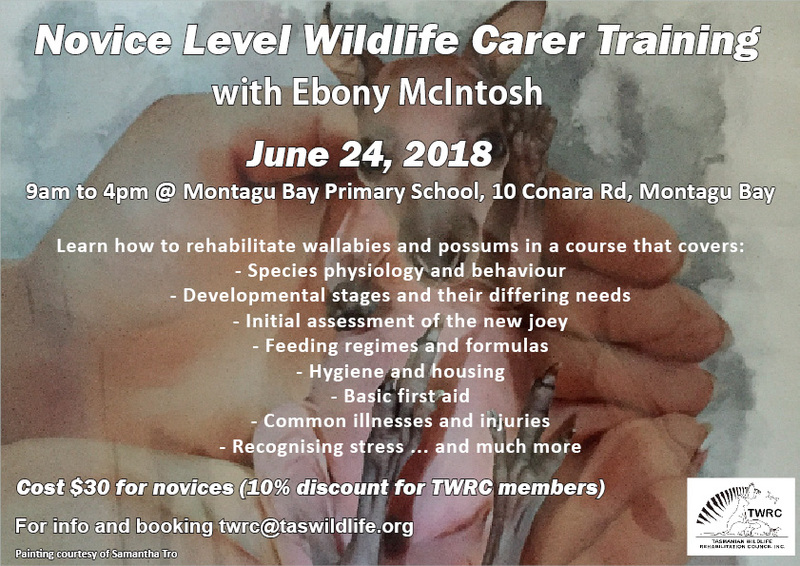 The TWRC is pleased to announce its next course for 2018, the Novice Level Wildlife Carer Training workshop which will be held on Sunday June 24, at Montagu Bay Primary School. 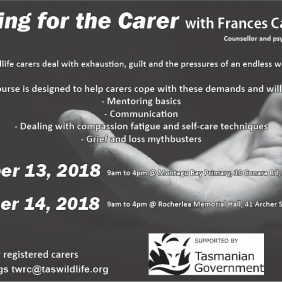 If you are keen to become a carer or are just starting out, this course is the ideal starting point. 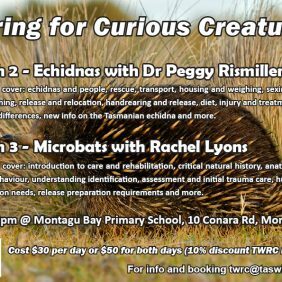 Tutor Ebony McIntosh is a lifelong wildlife carer and qualified vet nurse with extensive experience in Australian wildlife. She also has a passion for critical care, patient management, neonates and bats. Cost is $30 for novices and TWRC members receive a 10% discount.